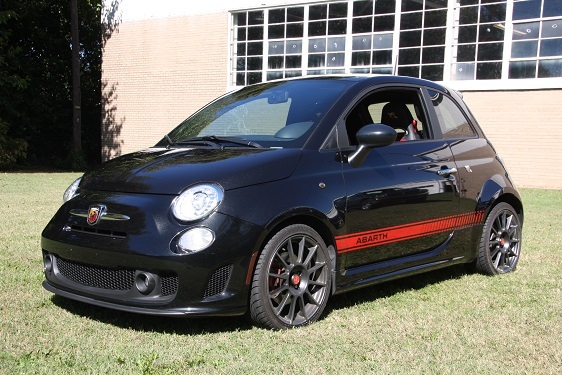 The 500 Abarth is a sporty addition to Fiat’s successful reboot of the classic Fiat 500. 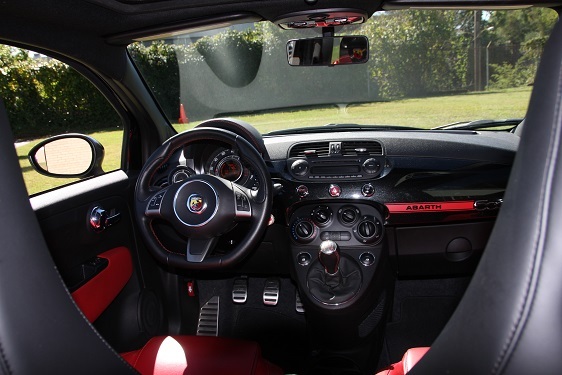 Building on the successful base model, the Abarth features significant power increases, suspension upgrades, and nicer interior appointments. 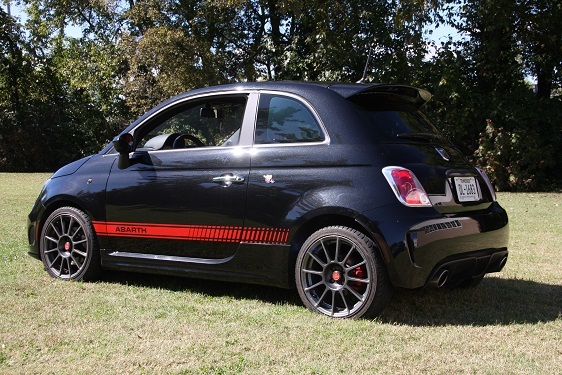 And, the Abarth name may give it away, but it also has a particularly memorable exhaust system. Appropriate, seeing as Carlo Abarth made a name for himself in aftermarket exhausts well prior to his association with Fiat. Abarth remained a close associate with Fiat until 1971, when the two joined permanently. The base 500 has a NA 1.4 liter engine returning 101hp and 98 lb-ft of torque. 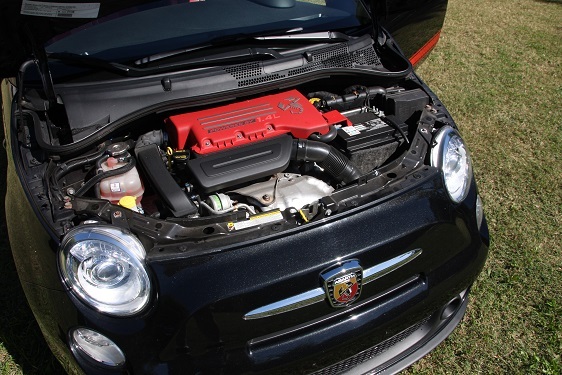 The Abarth has a strengthened 1.4 liter turbo MultiAir engine with 160hp and 170 lb-ft, and the 0-60 time drops over 3 seconds, 9.9 vs. 6.8. There is more to it than engine, however. New cast uprights and revised suspension geometry, plus lower, 40% stiffer springs and Koni shocks, allow the Abarth to go around corners as well as it accelerates. Larger brakes help to shed the extra speed, resulting in a nicely balanced package. Road & Track called it “one spicy meatball”, while Car and Driver described it as a “scrappy little hot hatch, able to challenge the MINI John Cooper Works on even terms”. Interestingly, America got a better engine than Europe – the non-MultiAir EU engine produces only 133hp; the US-spec engine, from Chrysler’s Dundee, MI plant and filled with forged internals, larger bearings, and cast, oil-cooled pistons is paired with the Toluca, Mexico-built body. European 500s and Abarths are assembled in Poland. Perhaps not as roomy or refined as its direct competitors, it offers Italian style at an affordable price.